Concluding the questions from our inquisitive cheerleader. Q: We also wondered, should we seriously accept that Jonah was swallowed by a whale and that Noah built an ark that housed every animal? The host school’s theology teacher told us to take these with a grain of salt, saying that they could be parables or something comparable to a modern day political cartoon. But that Sunday our pastor told us that we should never underestimate the Bible and to take everything seriously. Help! A: I firmly believe that when God wants us to take His Word figuratively, He clearly shows us that He’s using figurative language. When He says nothing, He expects literal interpretation. For example, most of Revelation is prophetic vision. I’ve yet to meet someone who’s waiting to see a literal “woman” riding on a literal “scarlet beast” having literal “seven heads and ten horns (17:3)” Instead, most people realize that this prostitute (17:1, 5, 15, 16; 19:2) is a symbol of Rome. 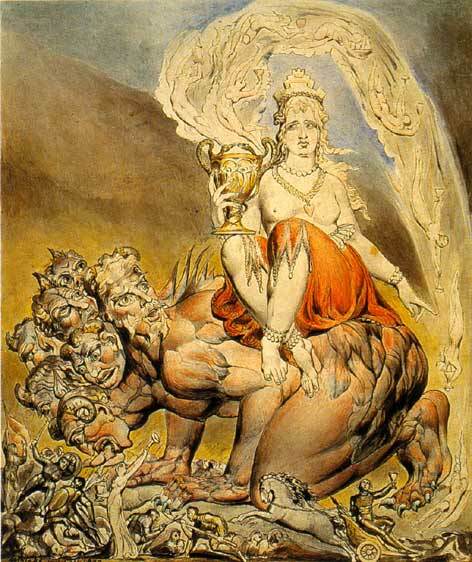 The beast’s seven heads represent “seven mountains on which the woman is seated. (17:9)” For millennia, Rome has been called the City of Seven Hills, since it was founded upon these. She is “Babylon (v. 5)” because that was Scripture’s benchmark for powerful pagan empires. The teacher you mention is what I call an “à la carte theologian.” She follows modernist methodology, picking and choosing what to believe, and what to treat as myth, parable, or morality play. She probably speaks similarly about Creation’s completion over six literal days and likely denies the historicity of Adam and Eve, Job, and the Exodus. However, these are fables only if Jesus isn’t absolutely truthful and trustworthy. He validated the truth of Old Testament when He said, “The Scriptures ... bear witness about me. (John 5:39)” Just as in Revelation, unless He says otherwise, God demands literal interpretation of His Word. 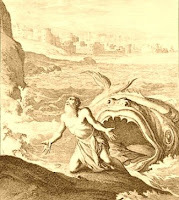 Later Scriptures understand Noah’s Flood and Jonah’s great fish literally. Isaiah (Isaiah 54:9), Jesus (Matthew 24:36-39), and Peter (1 Peter 3:18-20) reference an historic Flood. Also, if Noah is the hero of a short work of fiction, what does that say about other Old Testament people and events listed in Hebrews 11? There we find Abel’s acceptable sacrifice, God’s covenant with Abraham, and Moses and the Exodus along with Noah constructing “an ark for the saving of his household. (v. 7)” As I compare Hebrews 11 with the rest of Scripture, I see no middle ground: All of these people and events are either historic or fictitious. See also the 2007 post, Old Testament: Mythical or Literal and the links from it. Expanded from newspaper column #572:2.